In a city dotted with green jewelry as the small Amazon or the Jardin des Plantes, the walks can admire the different styles of architecture in the city. In particular, you can see the medieval remains of buildings from the classical period or industries dating back over a century. In the outskirts of Nantes, the classic and comfortable hotels are as numerous as the most luxurious. 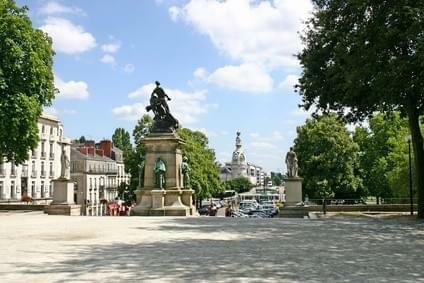 On average, the starting price for one night in the city of Nantes is 50 euros. Among the hotels at the best price, you can try the Grand Monarque street Marshal Joffre. Belonging to the Inter-hotel chain, this hotel has two stars and is located near the train station. Mercure Center is located near the station, a three-star rooms with stunning views of the river. For the good addresses, we must see the Best Western located on the road Gachet. Its magnificent view of the Erdre and the castle of Garscherie, jacuzzi and spacious rooms worth visiting. Mercure Nantes Central is one of the best hotels. Besides its four stars, you will also appreciate the proximity of the Place Royale and spacious rooms with air conditioning.